One hot topic in the STH forums has been that of the Intel Xeon D-1500 series’ support for SR-IOV. 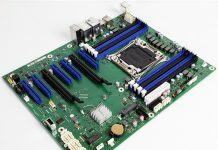 We have some updates to share on support in the Intel Xeon D-1500 series given the new chips’ release earlier this week. For those that may have missed this in the forums, we did get confirmation from Intel that SR-IOV was indeed not supported by the Intel Xeon D-1540 and D-1520 launch SKUs. 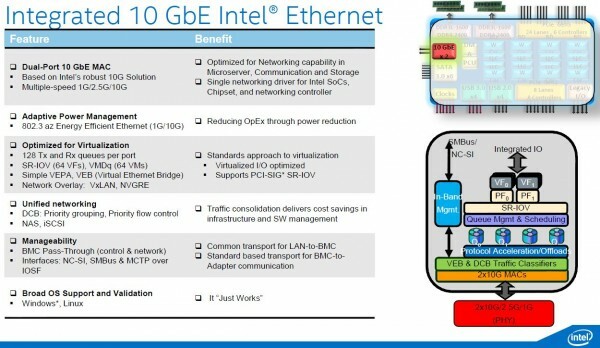 Here is the slide we got from Intel for the Broadwell-DE launch. 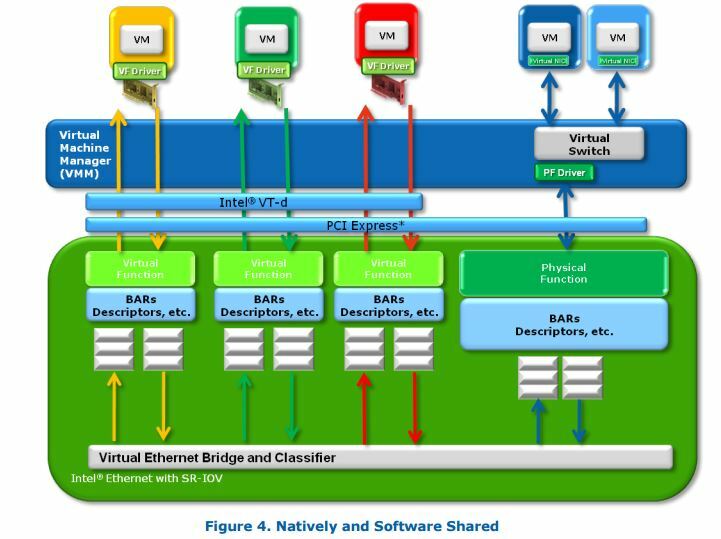 See the SR-IOV support under Optimized for Virtualization.” It is also in the block diagram on the right hand of the slide. I heard from a few sources that VT-d or SR-IOV pass-through of the Xeon D’s 10Gb NICs is not possible at this time. I just wanted to confirm this is indeed the case. With the release of 8 new Intel Xeon D-1500 parts yesterday, we wanted to see if the status has changed. SR-IOV is enabled on all SKUs we announced yesterday, and VT-d is also a feature of the CPUs. At this point, there are no plans to enable SR-IOV in D-1540 and D-1520. That is at least interesting considering the fact it was a feature touted in launch materials. It is possible that the SR-IOV in launch materials meant Xeon D processors that would eventually be released. Performance on the onboard 10Gb ports for a lot of use is still good for many use cases. For example, in our Proxmox VE (KVM + LXC) and Ceph cluster we have in our Fremont, CA datacenter can push well over 1GB/s storage traffic over the NICs and to the VMs. 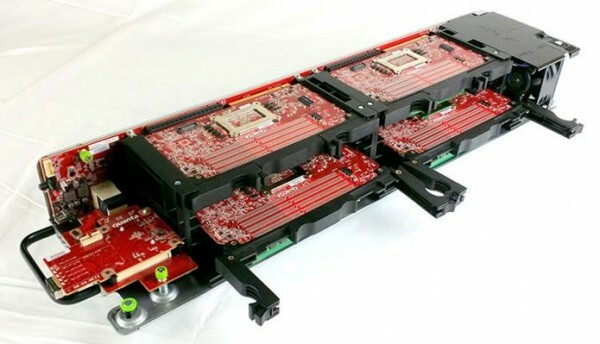 In the initial cluster we used three Supermicro X10SDV-TLN4F based systems which have been working extremely well to the point additional nodes will be added this week. We are happy to see that Intel has enabled SR-IOV on the new chips but wanted to get this information out so folks are at least aware of the earlier chip limitations. So I will return my 1540-Supermicro-Board and I will wait for the new ones. Any idea, when the’ll be released? Limited networking feature are maybe no sr-iov support ?